Agricultural Safety & Health Information Clearinghouse: Don't Get Beat by the Heat! Don't Get Beat by the Heat! Heat exposure kills more people each year than floods, tornadoes, lightning and hurricanes combined. The American Red Cross and the American Meteorological Society report that heat kills more than 1,000 people each year in the U.S.
Young children and elderly people have a higher potential for heat-related problems since they can have a more difficult time regulating body temperature. Because of outside work, many agricultural workers are also at high risk. A study by the U.S. Centers for Disease Control (CDC) found that 68 crop production workers died from heat exposure from 1992 to 2006. Heat-related illness can develop quickly and progress to deadly stages. Heat exhaustion, an early stage of heat-related illness, can turn into heatstroke. It’s difficult to give a specific temperature or humidity level that will “warn” people of unsafe conditions. During physical work, the body generates heat. During intense work such as lifting bales, shoveling or moving animals, workers can have a hard time cooling themselves. Working in direct sunlight also raises body temperature. A worker’s ability to stay cool also depends on clothing, conditioning to heat and humidity, and level of health and fitness. 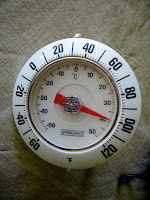 Plan strenuous tasks for cooler times of the day (morning or early evening). Watch for outdoor conditions and adjust assignments to reduce risk. Communicate and demonstrate safety actions to workers in a language they understand. Take frequent breaks. Get out of the heat and sunlight as you rest. Fans help evaporate sweat, providing an important cooling effect. A hat also provides sun protection, but should be loose and well-ventilated. Apply sunscreen to protect against sunburn and skin cancer. Drink often! Dehydration accelerates heat illness potential. Water is the best (and least expensive) drink for outdoor work. Sports drinks are OK for most people, but avoid sugary soda and caffeine. Salt tablets are not recommended unless advised by your doctor. For workers and employers, knowing about underlying health problems (high blood pressure, heart disease, asthma, etc.) is an important part of any occupational safety program. It’s usually a safe bet to drink at least 8 ounces of fluid every 15 to 20 minutes. Thirst is a poor sign of being dehydrated, so drink even if you are not thirsty. When you use the restroom, if your urine has lots of color or is relatively dark, you probably need to drink more. If you are working on a hot, humid day, stay away from fatty foods and limit protein intake. Choose foods with high water content like fresh fruits and vegetables. Heat exhaustion: Cool, moist, pale, or flushed skin with heavy sweating; headache; nausea or vomiting; dizziness; and exhaustion. A person with heat exhaustion may have a normal or rising body temperature. If you suspect heat exhaustion, move the person to a cool, shaded place. Loosen clothing and apply moist cloths to the forehead, wrists and chest to cool down. A person who is alert should drink cool fluid every 15 minutes. If symptoms don’t improve after an hour, see a qualified health professional. A person with underlying health problems should see a doctor right away. Heatstroke: Hot, red skin; changes in consciousness; rapid, weak pulse; and rapid, shallow breathing. A person experiencing heatstroke can have a high body temperature — sometimes as high as 105 degrees F. Skin will often feel dry. Heatstroke must be treated as a life-threatening emergency. Call 911 for emergency assistance. While you wait for help, the person must be cooled quickly. Immerse the victim in cool (not ice) water. Or, apply saturated cloths and sprinkle them with cool water. Use fans to speed cooling. A person with heatstroke should drink cool liquids, but only if they are alert. Monitor this as you would in any urgent first-aid situation, making sure the victim is breathing properly, is comfortable, etc. Heat-related safety is serious business.